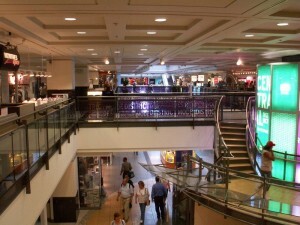 An underground city is a series of linked up underground areas… I have a list on the best ones. 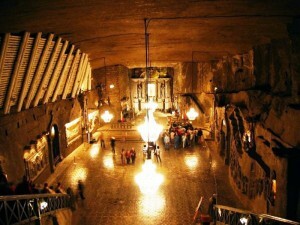 10) Wieliczka: Deep inside the Wieliczka salt mine, in Poland, is a huge underground city. 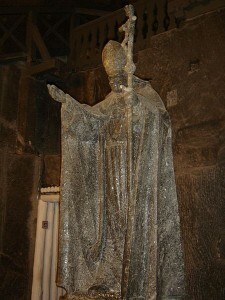 As miners often spent their entire lives underground, they carved out dozens of statues and four chapels within the mine. They also carved out 3km of corridors, over 20 chambers, and even a tavern. Which makes sense – miners love their alcohol – even miners in underground cities. The most impressive part of the city is the chapel of st. King which is visited by around 1 million people each yearThe city also features an underground lake, and according to mythology, a family of goblins live on an artificial island in the middle of it. The mine was built in the 13th century and produced salt from then up until 2007. Many of the statues in the mine depict mythical creatures. So it sounds like a really fun place… apart from the drunk tourists stumbling around in the dark. Below the streets of Beijing is a huge underground city. Built by chairman Mao during the 1970s, it’s purpose was to house the population of Beijing in the event of a nuclear war with the Soviet Union. Stretching 85 square kilometres, it is often referred to as the underground great wall. It was constructed by over 300,000 workers and dug mostly by hand. Which doesn’t sound like it would be very effective. Built inside the city are schools, hospitals, farms, factories, theatres, warehouses, and living areas. The complex had water and gas proof hatches as well as huge concrete doors to protect those inside. Entrances were hidden in shops across Beijing city centre. It is known that some of these entrances are still operable. But few people know where they are. Beginning in 2018 a planned city will by constructed underneath the canals of Amsterdam. Lack of space has forced the local government to go underground and they can only dig into the soft clay below the water, as the rest of the city was originally built on swampy marshland. At the cost of 14.4 billion dollars the underground complex will be home to sports stadiums, theatres, car parks, and commercial properties. Construction of the underground city is expected to take 20 years. But at least it confirms my suspicion that the Dutch are slowly becoming underground lizard people. If successful this could spark a trend all across Europe. So maybe one day every country will be filled with underground cities. Coober Pedy is an underground town in South-Australia. It is located within an old opal mine that people moved into to avoid the hot Australian sun. On the surface Coober Pedy looks like a long abandoned plot of land. But below the surface live over 2 thousand people. So it’s no surprise that the underground town features many houses and hotels. As well as a pub, a casino, several museums, and a rather beautiful underground church complete with a creepy graveyard. Which isn’t that weird really. I mean, all graveyards are underground when you think about it. Under the streets of Bucharest, in Romania, is a dark network of sewer tunnels. Inside this huge network lives a community of HIV infected drug addicts. The entrance to the city is a hole in the ground in the middle of a busy road. The story behind the community is sad. After communism fell in Romania, thousands of orphan children were left without care. Coming together they took to the sewers for shelter. They grew older and had children of their own, and the hellish underground city grew from there. Of all the underground cities on this list, this is the only one with a king. The place is run by Bruce Lee, who gained his name through engaging in brutal street fights. Just days ago Bruce Lee was arrested on charges of drug dealing and every member of the city was evicted from the tunnels. An event that can only be described as the fall of histories most noble civilization. 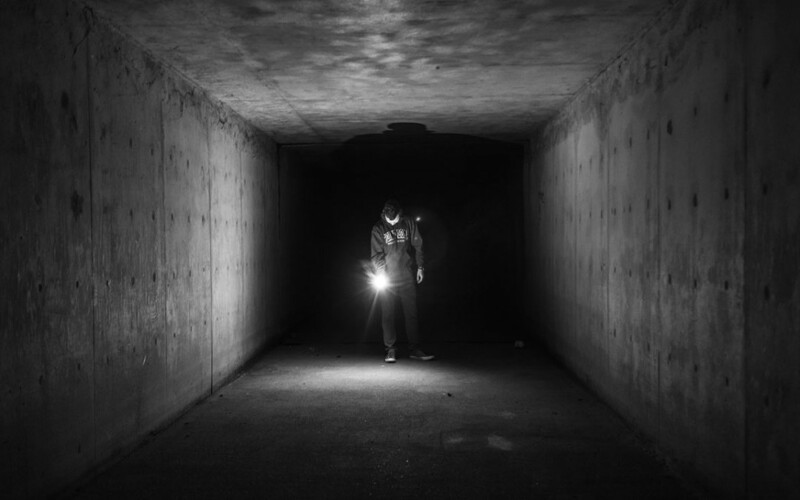 Underneath the Canadian town of Moose Jaw is a network of hidden tunnels. The tunnels were built in 1908 for Chinese workers to hide from racist authorities. At the time, the Canadian government introduced a special tax just for Chinese immigrants. So they started digging to avoid the tax. And as time went on people started bringing their entire families – which led to the creation of the underground city. During the prohibition era, the railway line connecting Moose Jaw to Chicago was used to import illegal booze. This, combined with Moose Jaw’s high number of casinos and brothels – led to it being called ‘little Chicago’. The tunnels were recently rediscovered after being abandoned and forgotten about. Montreal’s underground city is a huge underground complex of over 32 km of tunnels spread over 4.5 square miles. Inside this huge complex you would see multiple shopping malls, banks, museums, hotels, apartment buildings, 7 metro stations, and a bus terminal. The city is so large that it has over 120 access points – which are necessary in the winters when 500,000 people enter the underground city daily. Matmata is an underground town in Tunisia. The town was created by digging large pits in the ground and then digging into the pit walls to create houses. These houses are connected to other structures by underground tunnels. Until 1967 the only people who knew about the town were those who lived there. But that year, 22 days of rain caused serious damage to Matmata. The residents appealed to the government of Tunisia for help. The authorities were surprised to learn of the towns existence – but did help to rebuild it. Which makes me wonder if there are other underground cities the Tunisian government doesn’t know about. Maybe every country has underground cities that we don’t know about. In 1976 Matmata was used as the filming location for Luke Skywalker’s home planet in starwars. Because of this, the town has become a popular yet terrible tourist attraction. The underground city of Derinkuyu is an ancient underground multi-level city located in Turkey. The city is large enough to house 20,000 people along with their livestock and supplies. Which is impressive for a structure that could have first been built in the 8th century BC. After being lost to time Derinkuyu was rediscovered in 1963 during the renovation of a nearby house. A cave passage was opened to reveal a structure stretching 280 feet into the ground. The city is facilitated by 13 storeys of ventilation shafts and is seen as an achievement in engineering equal to the construction of the pyramids. No one knows what forced people of Derinkuyu to live underground. But it was almost certainly to hide from their rivals. The city entrances are guarded by 1000 pound stone doors that can only be opened or closed from inside the tunnels. But they were well stocked to live down there with store rooms, churches and wine presses. Known to some as Wiltshire’s secret underground city, Burlington is a once secret cold war city built 100 feet underground. Constructed by the British government in the 1950s, it’s purpose was to be the residence of 4,000 government officials in the event of a nuclear war. It was the primary emergency war headquarters in the UK. The city was so secret that most of the officials who were given accommodation on the site didn’t even know of it’s existence. The underground city was never used. But still contained living spaces, hospital, warehouses, work spaces, 60 miles of roads, and even an underground lake. 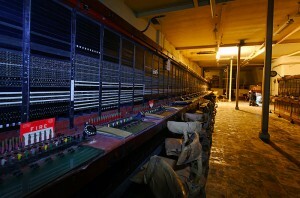 It was equipped with the second biggest telephone exchange in Britain, along with a BBC studio so that the prime minister could address the country. Burlington was operated for 30 years until the end of the cold war in 1991, and finally decommissioned in 2004. The city was then put up for sale with organizations competing to buy it. One of such organizations wanted to turn Burlington into Europe’s biggest wine cellar. And so that concludes our list on Underground Cities.